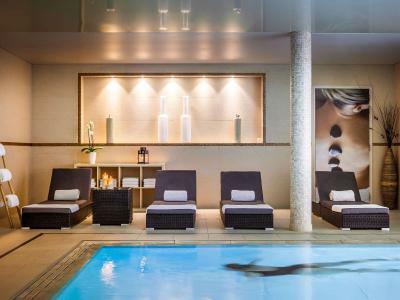 Lock in a great price for Novotel SPA Rennes Centre Gare – rated 8.6 by recent guests! Well located near the train station. No cancellation fees. The bed was comfortable, the room was clean, the toiletries provided were nice if not luxurious. It is a businesslike hotel, professional if somewhat impersonal. The room was very nice, the beds are comfortable. The hotel itself was great, the staff, meh. Great that you had English speaking channels for news. Would have loved some English speaking movies but the Subtitle option on the remote just didn't work and everything English was dubbed into French. Location was very convenient; staff was helpful and room was extremely comfortable. Spa facilities included. Nice breakfast. Nothing !!! just a hotel with unfriendly service....don´t go near it if you are a tourist!!! The room I had was one of the nicest rooms I ever got at a hotel. I had booked a standard room and got something I would normally describe as a junior suite, with two TV sets, a lounge area, nice comfortable shower and separate bathtub. Not sure if it was an upgrade, but it definitely exceeded my expectations. Very clean and comfortable with a very friendly staff. Easy walk to town center or metro available if you want to get there fast. Did not have breakfast. Found staff very helpful and enjoyed stay. Food quality was good. Nice spa facilities for free with the room. Good sized bath. Very comfortable, large bed. Quiet despite being city centre. Great location to the metro. 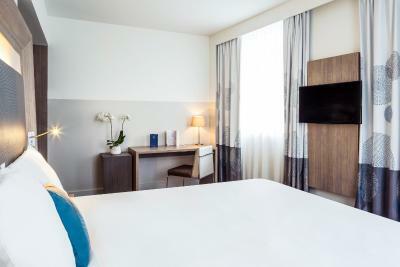 Located in the center of Rennes, just 650 feet from the train station, and a 5-minute walk from the National Theater of Brittany, Novotel Rennes Center Gare offers a spa, a wellness center and free WiFi throughout the property. 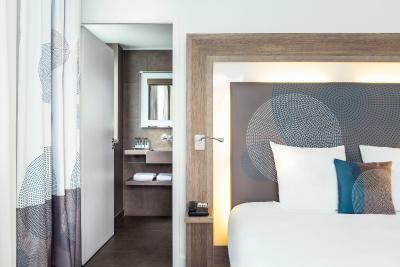 Decorated in a contemporary style, Novotel Spa Rennes Center Gare offers rooms and suites featuring a mini-bar, a desk and a flat-screen TV. The private bathrooms include a bath tub, shower and free toiletries. The wellness center features a swimming pool, a gym and a hot tub. 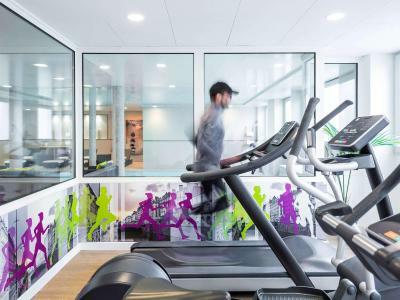 Guests staying at this Novotel benefit from free access to the wellness center from 06:00 to 23:00. This is our guests' favorite part of Rennes, according to independent reviews. When would you like to stay at Novotel SPA Rennes Centre Gare? 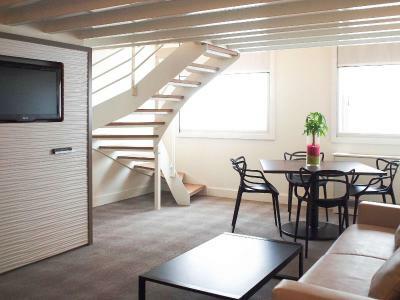 This air-conditioned room has free Wi-Fi access and a minibar. It cannot accommodate an extra bed. A Nespresso coffee machine and free Wi-Fi access are at guests' disposal in this room. The bathroom includes a bathrobe, slippers, body lotion and body scrub. 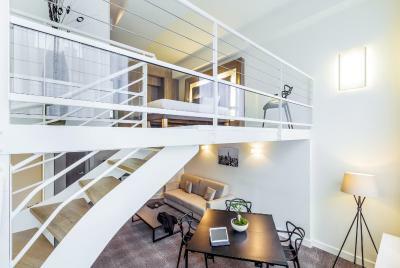 A flat-screen TV and a Nespresso coffee maker are at guests' disposal in this modern suite and extras include an iPod dock. This modern suite is air-conditioned and has a flat-screen TV and a mini-bar. Extras include an iPod dock. House Rules Novotel SPA Rennes Centre Gare takes special requests – add in the next step! Novotel SPA Rennes Centre Gare accepts these cards and reserves the right to temporarily hold an amount prior to arrival. Hotel pool was very small and jacuzzi too crowded to use. Apart from the price that was a bit on the high side, the wifi connection was really, really bad. It kept disconnecting me and connecting to a VPN network was impossible. Breakfast was good but not great. Dirty room. Not properly cleaned. Left over sticky sweet on the floor from whoever had been there before. Plus a lighter, even though it’s supposed to be a non smoking room! Tiny swimming pool which was over crowded. Would not recommend. There was no-one at reception when we arrived so I had to wait quite a while before someone could check us in and also open the parking. The room service breakfast we ordered was not quite what we ticked on the order card. Pool not as big as we thought so it was full with only 4 couples in the spa. Would recommend they put a small info book in each room eg. With opening times for the pool etc. Restaurant was weird, in my opinion they are attempting too much with an Asian fusion inspired menu. The reality is the flavours clashed, there were too many ingredients and end quality was just average. Good honest French cooking would have been better. An example: chicken nuggets, with a grapefruit, avocado, pomegranate, Italian leaf salad with what can only be described as a deconstructed “flapjack” / “cereal bar” containing all manner of bits inc. sweeteners, nuts, oats and I think quinoa - just wrong! The Pad Thai was more like chicken chop suey soup, with no Thai or chilli flavours - weird! The Servers were also inexperienced, found out after they didn’t offer full menu (specials board) as I don’t think they could explain it in English. Language not a criticism we are in France so don’t expect people to speak English, but at least share the menu as our French literacy is far better than our oral (confidence). The main theme was people waiting 15 mins for menus, dishes coming out one at a time and not for the table etc. Breakfast was not much better, running out of food an hour before end of service not ideal. 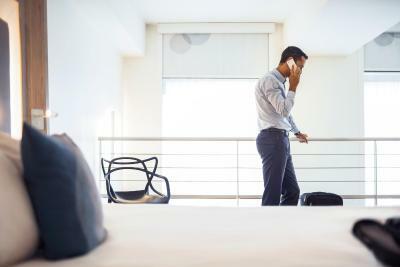 The main complaint of someone who travels a lot with work is room service trays not being cleared away and sitting in corridors. There was one there at 10pm which hadn’t been cleared when we checked out next day at 11am, in fact the breakfast tray had been placed on top. This was despite housekeeping already cleaning most the rooms on our floor! Location was fantastic and Spa was very good. Rooms were clean and spacious. Parking comes with a charge (not mentioned at check in) but not ridiculous and a lovely vibe. Would recommend for a business trip or weekend getaway.